Did anyone else watch the Great Pottery Throw Down? I am sure I am not alone in watching it and think “That looks like fun!” A bigger surprise was that Mr M agreed with me, so I seized upon the opportunity to get him involved in something creative, and looked for classes available in our area. We ended up signing up for a beginners wheel throwing class at Higher Fire Clayspace and Gallery, for their next intake starting in January. Aha! 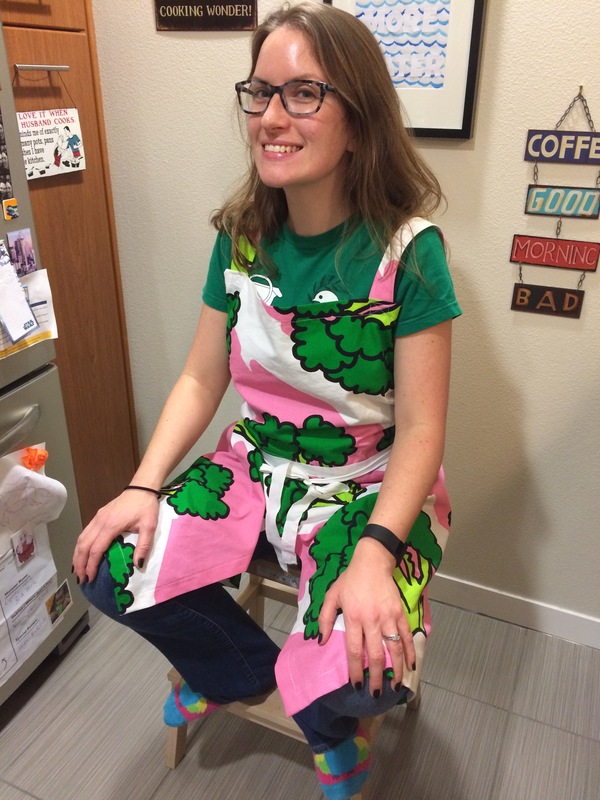 I saw this as an opportunity for some further crafts, and did a bit of research on clay/pottery aprons for use while doing wheel pottery. The results were these guys, made using a combination of different tutorials and inspiration from some ready made aprons available. See here, here, here, and here. 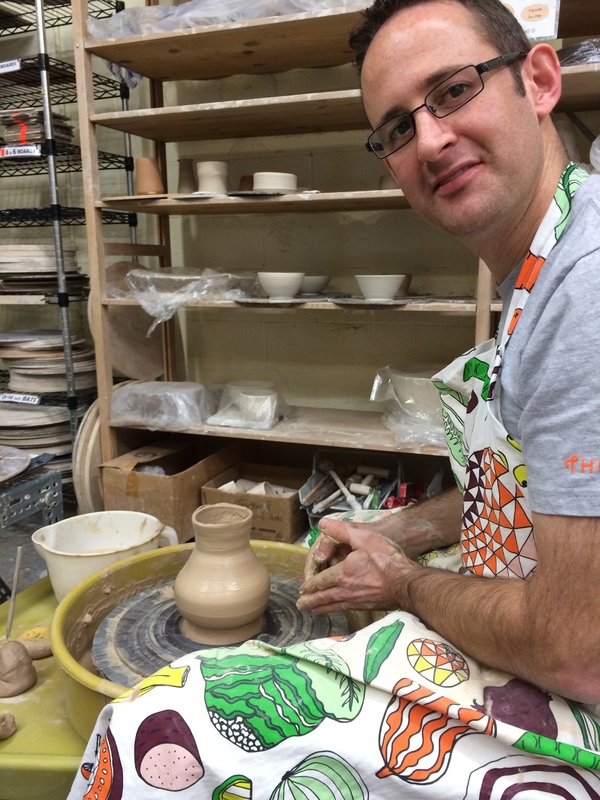 He is much better at the pottery than me! Mine generally end up a little wonky. 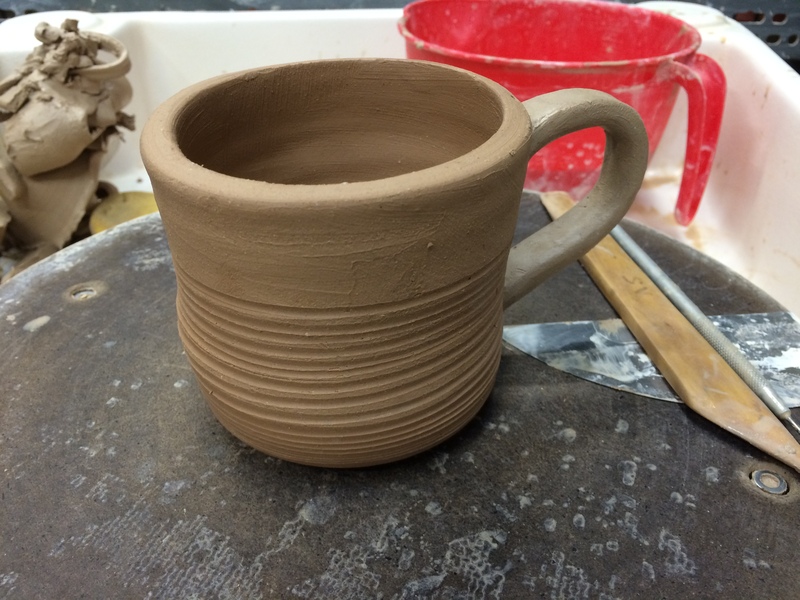 But I did manage to make a reasonably mug-shaped item…. I think it might end up retaining liquid inside it and everything!